Take the Toyota RAV4 on your next adventure to tackle any challenge with ease. The RAV4 is a crossover SUV with an interior that is even more versatile than some of the other models in the segment. With the latest technology and a rich history of providing a tough vehicle, the RAV4 has everything that Virginia drivers need on a regular basis. Its small size means you will enjoy great fuel economy and a low starting price, but there is no need to sacrifice the features you truly want. There is even a new RAV4 Hybrid that enhances this crossover SUV’s acceleration in addition to fuel economy. What’s New On The 2019 Toyota RAV4? The 2019 Toyota RAV4 is redesigned. Offering a fun and appealing new look in terms of style and color options, drivers will have no problem spotting the new RAV4 on the road. In addition to this, the 2019 RAV4 continues the tradition of providing plenty of technology, comfort, and safety features. Spread across the various trim levels is a wide array of features. Some of the features offered with the 2019 RAV4 include heated and cooled front seats, a panoramic sunroof, Apple CarPlay, Wi-Fi hotspot, fog lights, blind-spot monitor, backup camera, Bluetooth®** compatibility, and much more. As you can see, the 2019 RAV4 has plenty for you and your passengers to enjoy! LE: The base model in the 2018 RAV4 lineup is powered by a 2.5L 4-cylinder engine and comes jam packed with features including the Toyota Safety Sense P driver assistance package. XLE: The next step up in the trim lineup builds on the LE’s features by adding dual zone automatic climate control and a variety of other interior amenities. LE Hybrid: The base LE RAV4 with the addition of all-wheel drive as a standard feature and a 2.5L 4-cylinder ECVT Hybrid engine under the hood. Adventure: This brand new trim level for the 2018 model year brings a variety of rugged exterior and interior features to the RAV4. SE: The sport trim in the lineup that includes steering wheel mounted paddle shifters, sport tuned suspension, sport shift lever, and more. XLE Hybrid: All the features included with the standard XLE with the addition of all-wheel drive and a 2.5L 4-cylinder ECVT Hybrid engine. Limited: This luxury trim level of the RAV4 comes standard with SofTex trimmed seating, 8-way power adjustable driver’s seats, and many more features. SE Hybrid: The sporty SE with all-wheel drive and power derived from a 2.5L 4-cylinder ECVT Hybrid engine. Limited Hybrid: The luxurious Limited trim powered by a 2.5L 4-cylinder ECVT Hybrid engine and with all-wheel drive capability. Platinum: The crème de la crème in the 2018 RAV4 lineup. All the best features of previous trims plus bird’s eye view camera, Smart Key System, and hands-free foot activated power liftgate. When the 1996 Toyota RAV4 entered the American market, it borrowed plenty of components from both the Camry and Corolla and put them to good use. The very first RAV4 had a 2-liter 4-cylinder engine that generated 120 horsepower and let you pick from a front-wheel drive and all-wheel drive. During this first generation, there were only slight changes to the fascias in the front and rear. 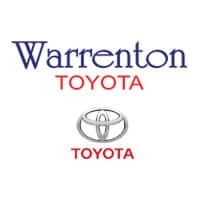 The friendly team at Warrenton Toyota does more than just sell you a car; we work with you to ensure that you know you are getting the vehicle that you want. We will keep working with you in the future whenever you need us, as our service center is the perfect destination for all your regular maintenance and other repairs, whether or not you are still covered by complimentary ToyotaCare. Visit Warrenton Toyota in Warrenton to find out why Virginia drivers love the Toyota RAV4. *MSRP (Manufacturer’s Suggested Retail Price) excludes tax, license, registration, and options. A delivery, processing, and handling fee may be charged separately. Dealer prices may vary.